Global Spirits USA, a privately-held, international manufacturer and marketer of wines and spirits, is expanding its US distribution footprint with Young's Market Company to introduce its LEAF Vodka brand in the state of Arizona. New York, NY, October 21, 2015	(Newswire.com) - Global Spirits USA, a privately-held, international manufacturer and marketer of wines and spirits, is expanding its US distribution footprint with Young’s Market Company to introduce its LEAF Vodka brand in the state of Arizona. Founded in 1888, Young’s Market Company is one of the oldest continuously operating companies in the United States. It is among the best and most respected wholesale distributors of alcoholic beverages in the country. The packaging for LEAF Vodka is designed with the intention to have the contour of a leaf, accentuating the brand and giving it a premium look. With a recommended shelf price of $18.99 for 750mL—and Certified USDA Organic — LEAF Vodka is well positioned within the dynamic and growing vodka category. A Fortune 500 company in Europe, Global Spirits was established in 2008 and has operational hubs in New York, Moscow and Kiev. The company has over 5,000 employees, with annual volume exceeding 12 million cases in over 80 countries. Key strategic brands include: Khortytsa Vodka (3rd largest selling international vodka brand*) and Morosha Vodka (fastest growing international vodka brand**), Pervak Vodka (acquired in 2013) and LEAF Vodka (launched in the US October 2013). *According to IWSR, Khortytsa was the third largest selling global vodka brand at 6.3MM cases. LEAF Vodka is sourced from the best water with distinct characteristics - a glacier-fed lake in Alaska and a mineral spring high in the Rocky Mountains. It is USDA Certified Organic and made in the USA. The Alaskan Pine is a new winter cocktail created by master mixologist Juyoung Kang. 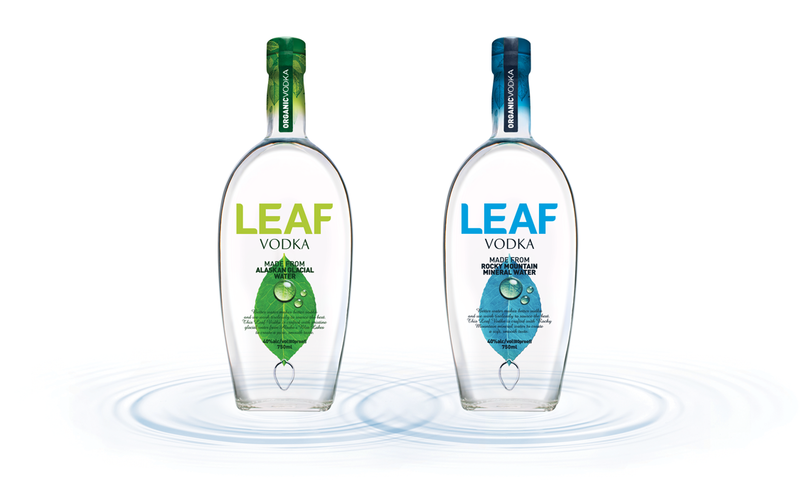 LEAF Vodka has received over 20 Awards in 2014 and continues winning and gaining distribution nationwide. LEAF Vodka's ongoing accolades have propelled the brand's expanded distribution in the U.S.